The director of Beyond Good & Evil 2 revealed a truly exciting piece of art during a livestream with the Rayman Legends team. 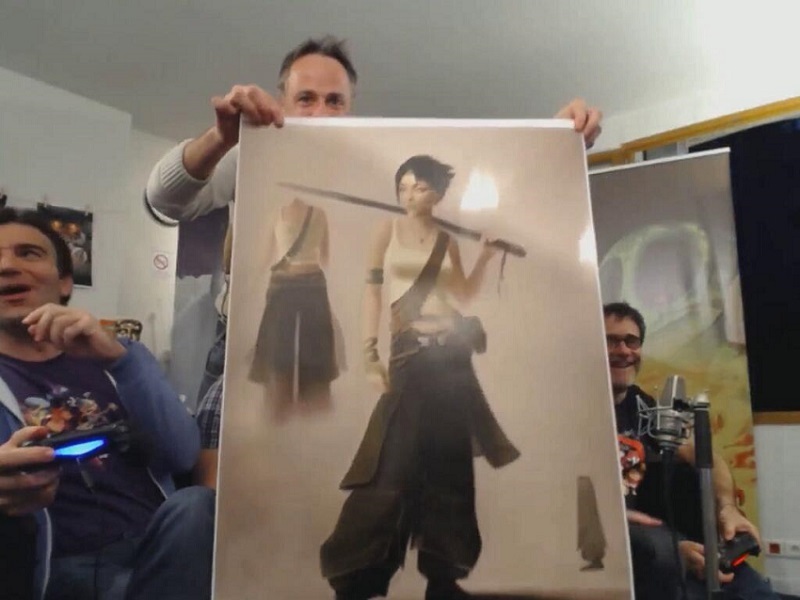 When a fan asked about the status of the long-in-the-making Beyond Good & Evil 2, Michel Ancel revealed a piece of concept art that shows that the development definitely moving along. The picture he showed was concept art of a new design for the game’s protagonist Jade, and that image can be viewed below. Though Beyond Good & Evil 2 still does not have an official release date, the game is being developed for PlayStation 4, Xbox One, Wii U and PC. In all honesty, I think this is a step up from Jade’s original design in Beyond Good & Evil. It seems more natural and feminine compared to her get-up in the first game, though that’s not to say her design in the first game was bad. Hopefully this picture will actually lead to something over than aggravation due to no new information. This entry was posted in All, Featured and tagged Beyond Good & Evil 2, Ubisoft Montreal on April 15, 2014 by Mike Guarino.